Our Mosquito Guard offers protection from mosquitoes and ticks when these pests (and your family) are most active outdoors. Mosquitoes and ticks are pests that are not only annoying; they affect our quality of life by transmitting serious diseases. At American Pest Solutions, we offer mosquito control and tick protection that is safe for your family, pets and the environment. We attack mosquitoes and ticks where they live and spend time during the daylight hours. Our Mosquito Guard program is designed to offer season long protection when outdoor activity and insect diseases threat are the highest. 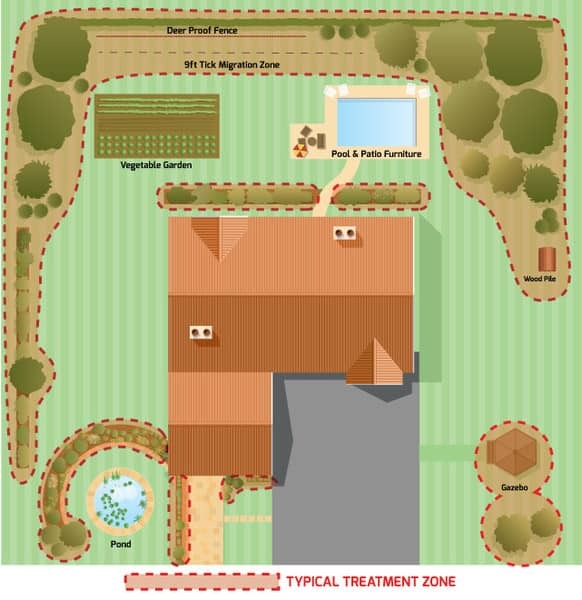 Our specialists will visit every 3-4 weeks from April through October to ensure the worry-free enjoyment of your yard while the great weather sticks around. This application schedule also reduces vector born disease transmission by 92%! 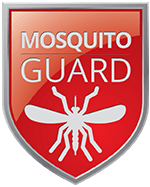 Mosquito Guard is a stand-alone service, however, it can be added to the Pest Guard home pest control program. Additionally, this service is great before ANY outdoor activity or event including weddings, graduations and birthdays. Don't waste your money on tiki torches and bug sprays, invite us to your next event and let us help keep you mosquito-free! There is only so much time in New England to enjoy warm days, don’t let the threat of mosquitoes and ticks drive you indoors. Contact American Pest Solutions to learn more about our treatment for mosquito and ticks.